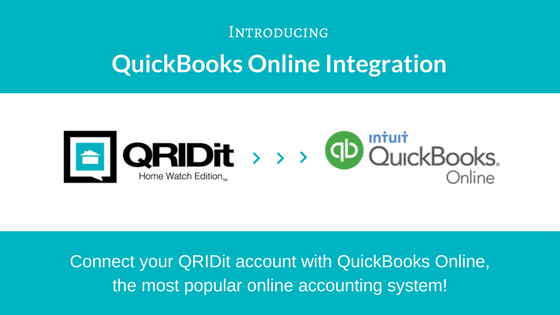 We’re very excited to announce that you can now connect your QRIDit® account with QuickBooks Online, the most popular online accounting system! Connect your QRIDit account to QuickBooks Online and all of your invoices and payments will automatically update in your QuickBooks Online account. Integration with QuickBooks Online will sync data across QRIDit and QuickBooks automatically, minimizing manual data entry. Automatically populate your QuickBooks Online account with new pre or post-paid invoices created in QRIDit. Automatically update your QuickBooks Online invoice with payment information when you record a payment, debit or refund to an invoice in your QRIDit system. Automatically update your QuickBooks Online account with invoice payment information when clients make a payment using the QRIDit Client Payment Portal. *Note: What you create in QuickBooks Online will not automatically synchronize back to QRIDit, this is a one-way system from QRIDit to QuickBooks Online. Step 1 – Go to the Welcome Menu in your QRIDit Dashboard and select Settings. Step 2 – Go to the bottom of the page to “QuickBooks Integration” and choose “Connect to QuickBooks”. Step 3 – Follow the QuickBooks setup guide to link your QRIDit system to your QuickBooks Online account. 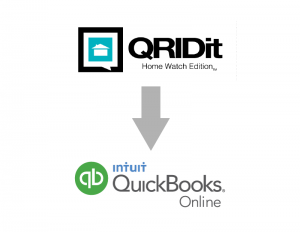 *QRIDit integration is only available for QuickBooks Online.